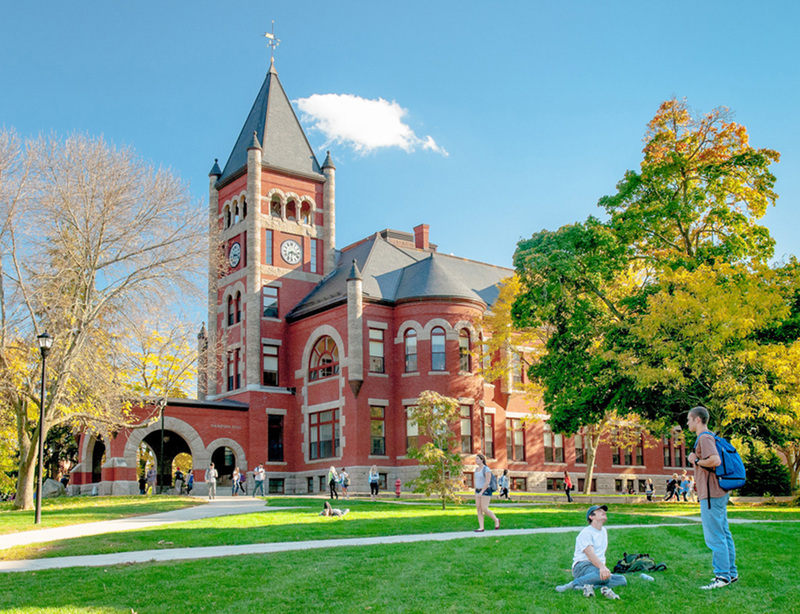 The Department of Social Work and the School of Law at the University of New Hampshire (UNH) also offer a dual degree resulting in the JD/M.S.W. In four years, students will be able to complete two graduate degrees, a master in social work (M.S.W.) and a Juris Doctor to prepare them for a career in law and social work. For additional information regarding the social work/law dual degree course requirements, contact Patrick Shannon, patrick.shannon@unh.edu. In Field IV (SW 983 Field Internship IV), students will complete an assignment that will highlight their ability to demonstrate all 9 social work competencies. Campus: J.D. offered in Concord and M.S.W. offered in Durham. At least one letter must attest to observed skills in a volunteer or employment setting that would be indicative of success in the social service field. It is recommended that two of the letters be from UNH Law faculty. What personal, academic, organizational, volunteer and/or paid work experiences have influenced your choice of social work as a profession? The Admissions Committee follows professional guidelines when reviewing applications. At a minimum, you must provide information demonstrating that you have the requisite intellectual skills to be successful in law school. While LSAT scores and undergraduate GPA are important considerations for admission, they are not the sole factors. We also look for maturity, initiative, public service and a fit with our educational philosophy and curricular strengths. In the application, you will need to give us clear evidence of your abilities through your essay, detailed descriptions of challenging work, and specific letters of recommendation. The Admissions Committee looks at each applicant as a whole person and spends a great deal of time reviewing every application, especially the essay portion. Applicants interested in the JD/MSW dual degree program should apply to the JD program during the application cycle, October 1 - April 1, and to the MBA or MSW program by August 15, 2014. The LSAT will serve as the required standardized test for the JD, MBA, and MSW programs. Please indicate on your JD application your intention to apply to the dual degree program. Candidates must apply before the deadlines and be admitted to both programs, and a 1L cumulative grade point minimum must be maintained to qualify for the dual degree. 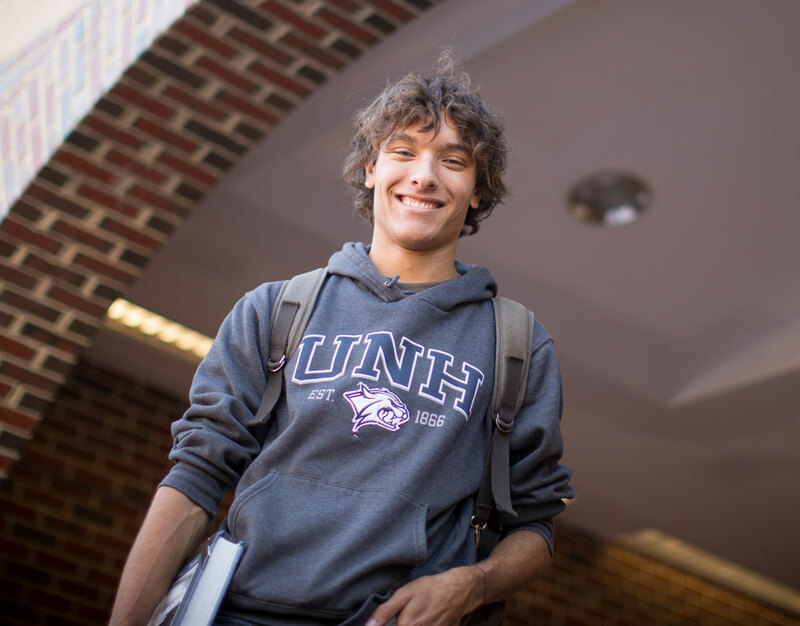 There is no fee to apply to the University of New Hampshire School of Law JD program. When we receive your application, we will acknowledge its receipt via e-mail and assign you a password to Applicant Online Status, where you will be able to track your application's progress. It may take a few days or more to receive your Law School Report because it may contain letters of recommendation, LSAT scores, and transcripts, so please be patient. Make sure, however, that your LSDAS records are current and complete. Have completed satisfactorily a personal statement of interest in pursuing graduate education in the field. Though not required, significant volunteer and/or work experience in the field is strongly recommended. Students who do not meet the liberal arts and science expectations may be asked to complete additional coursework prior to or during the first year of their enrollment in the program. Except for students applying to the dual degree program in social work and kinesiology, standardized graduate examinations are not required, but results of such tests may be submitted to supplement other admission materials. Students applying for advanced standing must hold a degree from an accredited B.S. in S.W./B.S.W. program with a minimum grade-point average of 3.2 (4.0 point scale). This coursework must have been completed within five years of the date of M.S.W. matriculation. Advanced-standing applicants must also submit a reference from a B.S.W. faculty member and the undergraduate field supervisor or field coordinator. Applications are to be made to the Graduate School, using the downloadable admissions application or by applying online. Interested applicants for the dual degree are required to be accepted for admission into both programs.